If the Wii U was an allegory for a barren wasteland, in terms of third-party support, then the Switch would definitely be a wellspring of indie delights. To prove that point here is the rundown on all the new independent titles that were just announced, for Nintendo’s hybrid beast of a system. 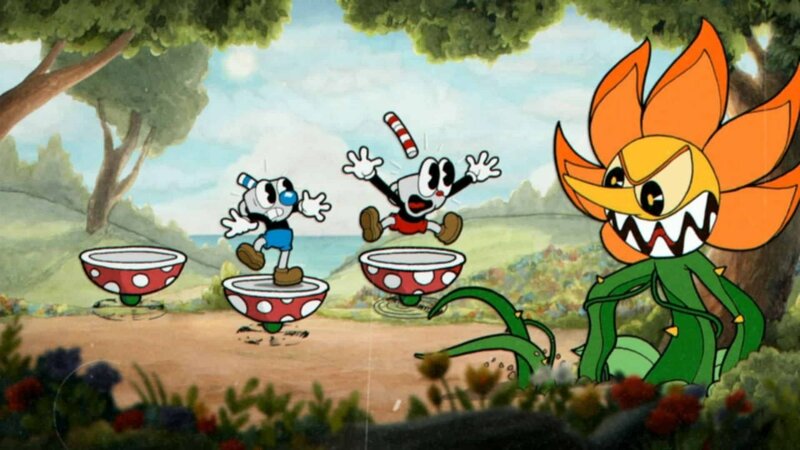 Right off the bat, the Indies showcase confirmed a recent rumour, by showcasing off a brand-new, appropriately retro themed trailer for Cuphead. The once Xbox and PC will be available on Switch this coming April. Another notable game shown off during the presentation included a new title from Doublefine, called, RAD. The game seems to feature an interesting cell-shaded comic book aesthetic, similar to titles such as Borderlands but with an overall, more colourful palette. No definitive release date was given, however, the game is slated for release sometime this Summer. Creature in the Well, a world-debut title that was shown off, looks like an interesting mix between a hack’n’slasher and an arcadey, pinball game. If the strange combination wasn’t enough, the title also offers a really unique presentation, with monochromatic and muted colours that make the game really stand-out. Creature in the Well be available sometime this Summer. Bloodroots, which will be available on both the Nintendo Switch and the PlayStation 4, is another fun looking action game, which according to the press release, was inspired by Samurai Jack. The game offers fluid gameplay, craftable weapons and an online leaderboard, making itself a good candidate for a title that features high-replayability. Those lucky enough to attend PAX East, will be able to try out Bloodroots prior to release. As a bonus, FUNCOM announced their recently released title, Mutant Year Zero, will also be headed to the Nintendo Switch, including all of its currently released DLC. The announcement was made during Epic’s Keynote during GDC in San Fransisco, earlier today. The game will hit the Switch on June, 25th 2019.